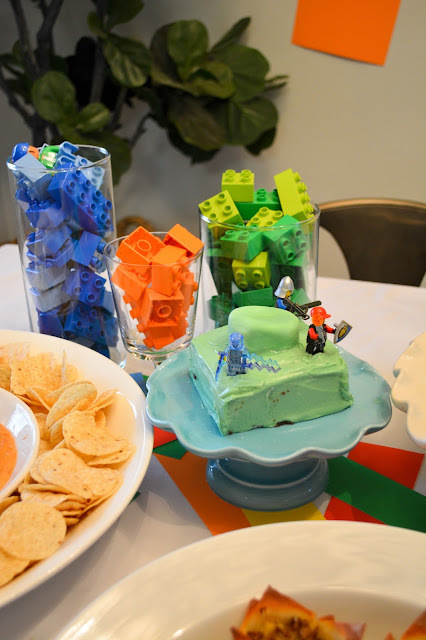 lizzy write: six year old lego party! 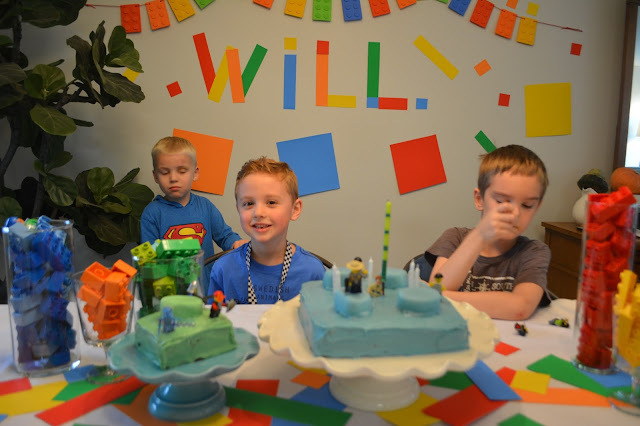 six year old lego party! 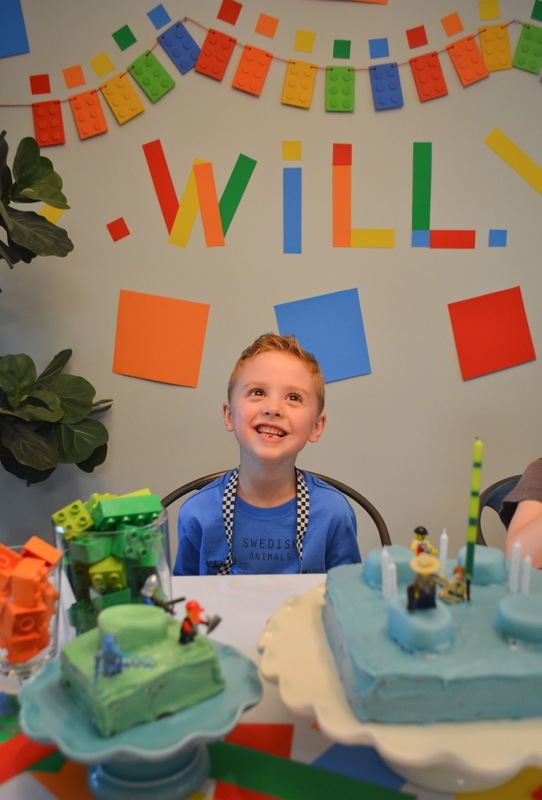 My sweet William is six years old! Can you believe it? It makes me want to sob, but at the same time, I really love this age. He is so thoughtful and loving, fun and silly, smart and responsible. What a joy it is to be this wonderful boy's mother! I'm really proud of the person he is and the good heart he has. It is such an honor to be a part of his life. 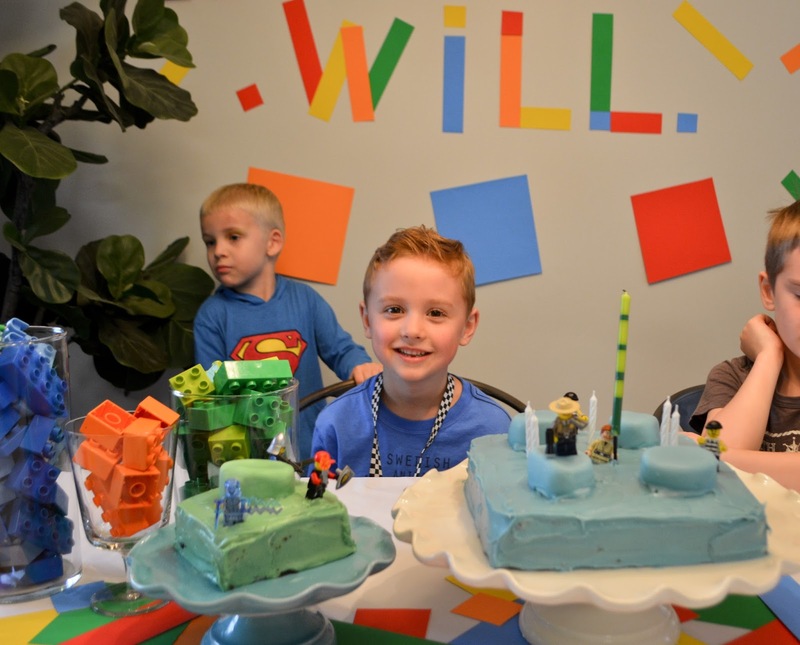 William's #1 love right now is Legos. It's all about Legos, all the live long day. So, of course, we had to have a Lego party! 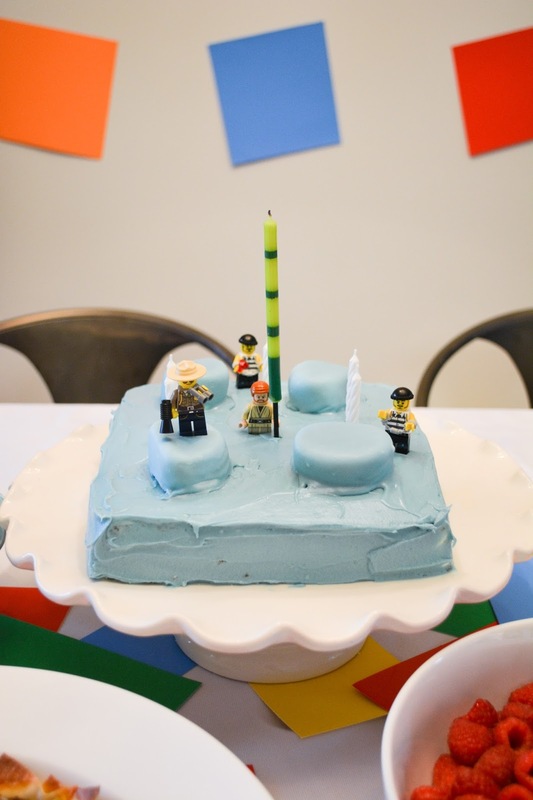 I made a Lego cake (with jumbo marshmallows as the tops), which was a big hit. 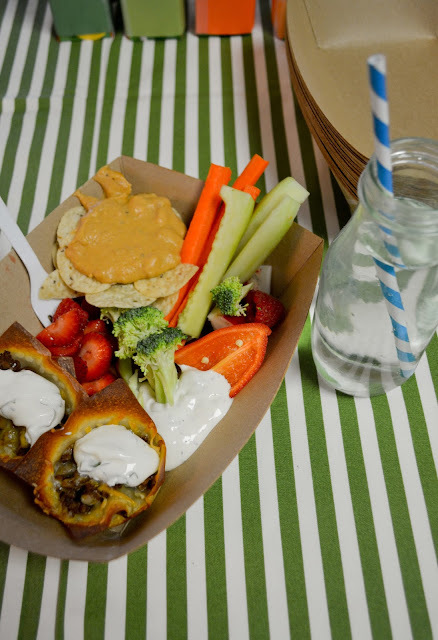 We had taco cups (wonton wrappers filled with taco meat and cheese) and bean dip, a crudite platter and fruit. 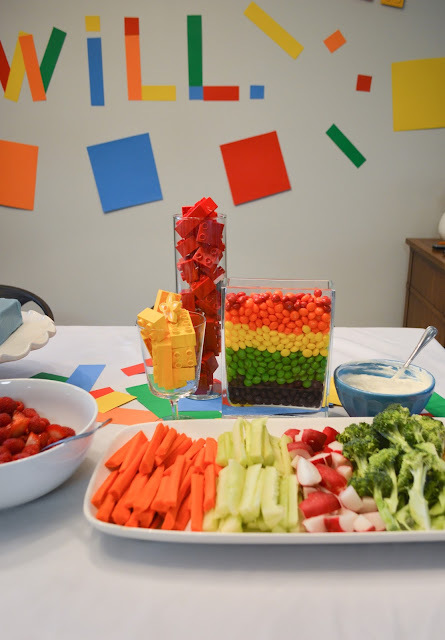 All easy to eat and easy to clean up! I just cut up some colorful poster boards into squares, rectangles and circles and hung them up (the Lego banner is from Target, though). It was simple and fun. Happy Birthday Wilbur! We love you ever so much!